I was in the mood for something fast, colorful, well- balanced and full of flavor. Now that I learned a few things like how to bake tofu and how to add fresh mango for flavoring- the rest is so simple. It’s almost like I can cook now lol. I think mango can make anything taste good however this was popping with flavor from all directions. 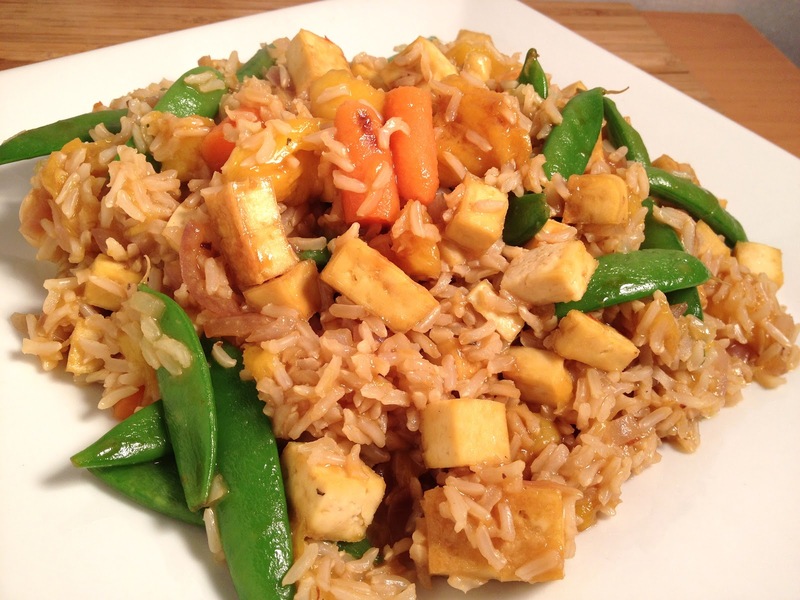 The brown rice gave me the complex carbohydrates that I needed for substance and energy, the tofu was my protein, fresh sugar snap peas and carrots for my veggie intake of vitamins and minerals— and lastly, the mango for even more vitamins and minerals as well as live enzymes. Always shoot for a colorful array of vegetables and/ or fruits to ensure you are getting a diversified diet of vitamins, minerals, bioflavonoids, phytochemicals and enzymes. I made my perfect brown rice– yes I have this down to a science! Brown rice 1 cup to 2.5 to 3 cups of water- bring it to a boil and then let it simmer- covered. Then blot and dry the tofu as the blog mentions from last week– and bake it until golden brown. In a large skillet or wok- sauté quickly the sugar snap peas and carrots in some olive oil or extra virgin coconut oil with onions. Add the mango, rice and tofu for a few minutes stirring. Top it with SHOYU! Delicious!